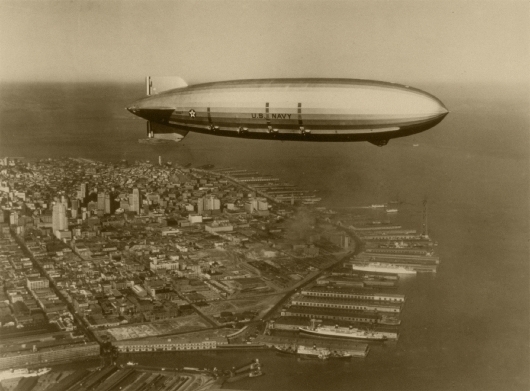 The Macon was 785 feet long, about 20 feet shorter than the Hindenburg. Construction of both the Macon and the Akron was at the Goodyear Airdock in Akron, Ohio. Construction of the Macon began May, 1931, and she was launched on March 11, 1933 and first flew in April, 1933, just a few weeks after the Akron's demise. Both airships could achieve top speeds of 85 miles per hour. Fully loaded, they could carry 60 tons of fuel, giving them a range of about 11,000 miles! Tragically, eight days before the establishment of Naval Air Squadron (NAS) Sunnyvale, Macon’s sister ship, Akron, crashed with the loss of nearly crew and passengers, including Admiral William A. Moffett. On May 17, 1933, the facility landing field was renamed Moffett Field in honor of the admiral. The USS Macon was delivered to Moffett Field on Oct 15, 1933, where she served until her demise in 1935. Throughout the winter of 1933-34, the USS Macon participated in training exercises throughout the Pacific to test its scouting abilities. In July 1934, its crew astounded Navy brass by intercepting the USS Houston (which was carrying President Franklin D. Roosevelt) during a long-distance training mission across the Pacific. The USS Macon continued to take part in training exercises throughout 1934 and early 1935. Its speed and range, enhanced by its squadron of five Sparrowhawks, proved the airship's ability to locate fleets and individual vessels, a skill that could be crucial to winning a war in the Pacific. Like its sister ship the USS Akron, the USS Macon survived only a brief operational life. 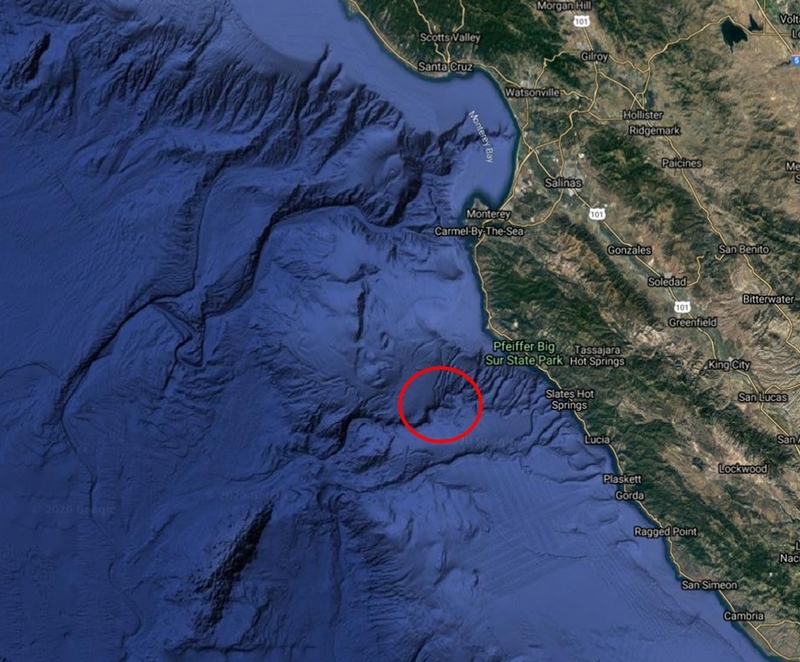 On February 12, 1935, while en route back to Moffett Field after completing a training mission, the USS Macon encountered a storm off Point Sur, California. 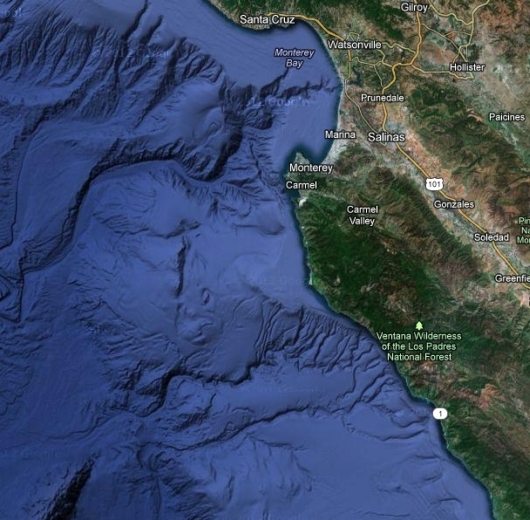 The wind tore off one of the airship's fins and the dirigible crashed into the ocean. 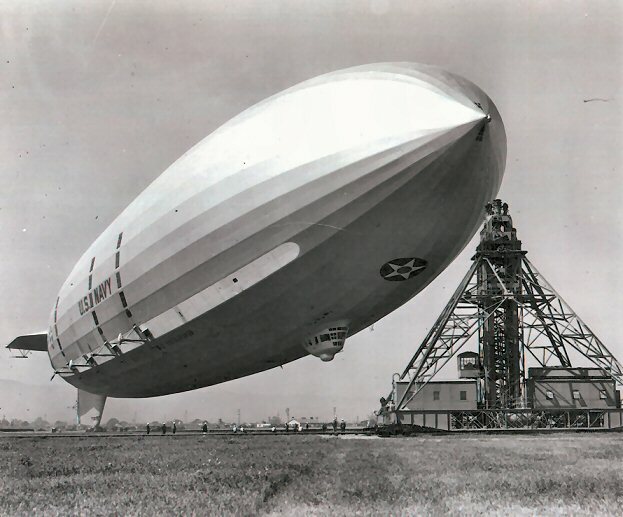 Most of the USS Macon's crew was saved, but the crash, following so soon after the demise of the Akron, effectively ended the Navy's Lighter than Air program. After the demise of the Akron and Macon, no further development of rigid airships took place in the US. Subsequent airships were of the much smaller, non-rigid design. After the demise of the Macon, the US rigid airship program ended, leaving only the German LZ-127 Graf Zeppelin, and LZ-129 Hindenburg. But the Hindenburg exploded May 1937, and the Graf Zeppelin was immediately removed from service and dismantled in March 1940. The era of the great airship thus came to an end worldwide. The Macon was the last rigid airship to be built in the USA. 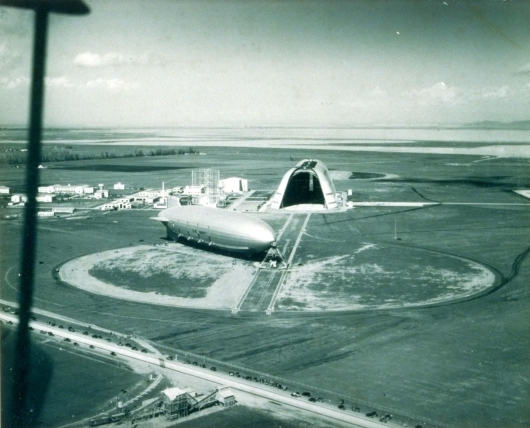 Moffett Field was home for the USS Macon from 1933. Hangar 1, seen here in the photo below was designed and built specifically for her. The mooring mast was located approximately 1730 feet from the Hangar doors. 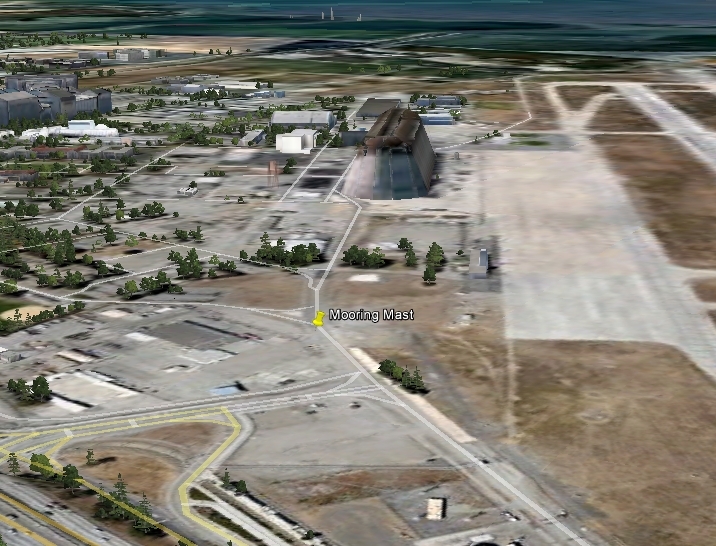 So here is the approximate location of the mooring mast at Moffett Field. The map tack is located at (Lat Lon) 37.406972 -122.051029. (Click here to View in Google Maps). 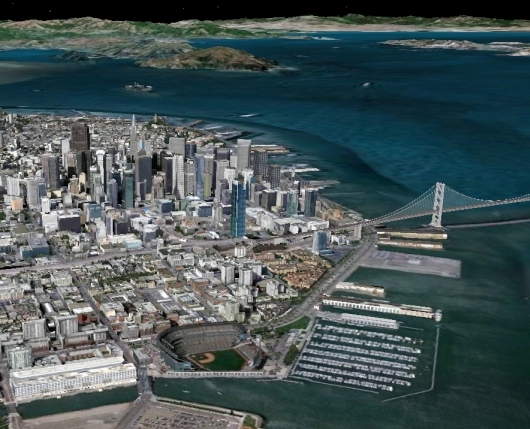 The Lat and Lon is taken as 37.778089 -122.392295, (Click here to View in Google Maps), close to the location of the San Francisco Giants baseball stadium today. (Click here to View in Google Maps).